The Jelly Scrubber works great as a bathing mitt. 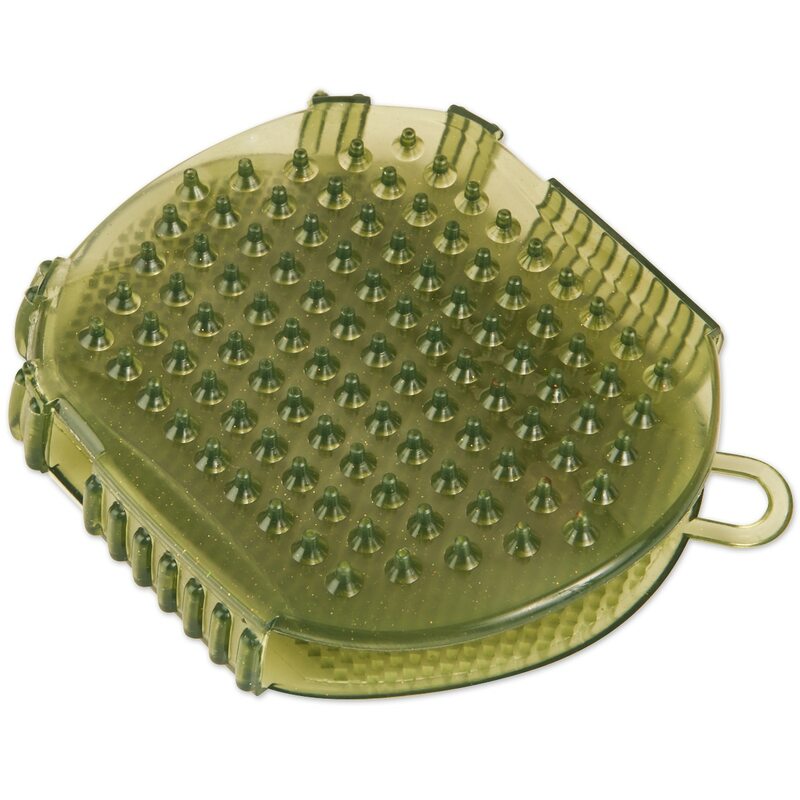 The Jelly Scrubber is a soft, flexible curry that's great for short-haired dogs or thin-skinned horses. Large nubs on one side are great for washing out the deep down dirt while smaller nubs on the other can be used for even the most sensitive skin around the face. 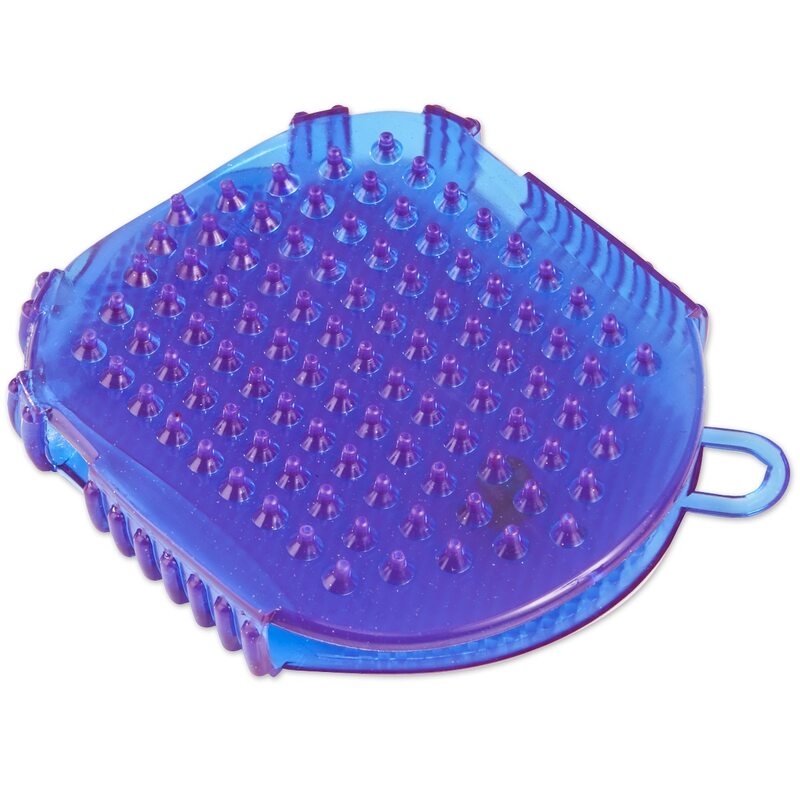 Jelly Scrubber is rated 4.8 out of 5 by 94. Rated 5 out of 5 by SNW07 from Never need a sponge again! 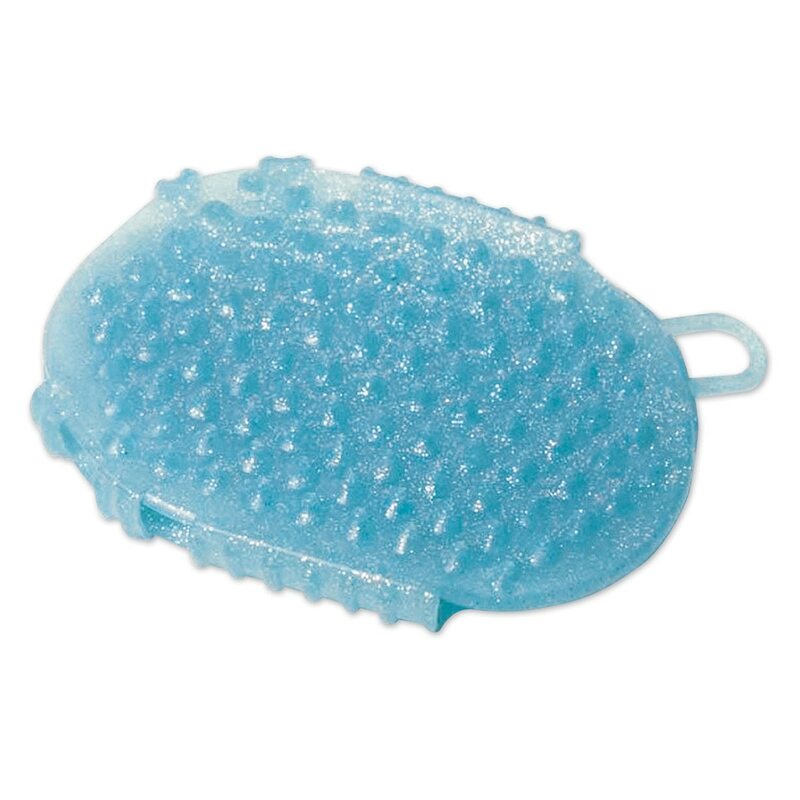 I've went through countless sponges with my horse and I figured I would try something different and once I received the jelly scrubber in the mail I went to try it out and it was AMAZING! Cleaning my horse was 2x quicker and no horse hair was stuck on the jelly scrubber! Would definitely recommend this product to anyone who still uses sponges. Rated 5 out of 5 by ohminsun from Lasts forever My existing scrubby has lasted for 8 years and just now the nubs are starting to dull. I just purchased a second one for my cat. Rated 5 out of 5 by Impressed3 from Best grooming tool! Love this grooming tool and needed another one so I have one in each grooming bag. Rated 5 out of 5 by alsvidur from Love this more than I thought I would! The bristles get so much gunk up. I've been using it as both a curry for more sensitive areas and a bathing scrub. The little loop makes it even easier to carry it around and use it to rub out sweat marks while cooling out after riding. I am surprisingly in love with this scrubber. Rated 5 out of 5 by Gypsy from Very soft in my hand . With 3 horses to groom it helps me to get the job faster . Then I just rinse it off to clean it. Rated 5 out of 5 by Emily Alix from Perfect for bathing my white horse This scrubber is great! Perfect tool for working in purple shampoo on my white horse. Rated 5 out of 5 by Ef6547 from Sensitive mare loves it This is the only brush my sensitive mare tolerates. She pins her ears and grinds her teeth with anything else, even soft brushes. But for some reason this jelly scrubber does the trick. Rated 4 out of 5 by Polly from Horses love it! The horses love the scrubby! The shorter side is terrific and very effective for loosening dander, dust and hair. I never use the higher side. Rated 4 out of 5 by Tracy from Great for Scrubbing Legs and Fungus I only use the softer side of this mitt, as my horse is pretty sensitive, but it's a must-have for scrubbing legs and is perfect for any 'gross' spots in the spring or summer. Rated 5 out of 5 by madjac from The Right Jelly Curry Mitt Our horses love this mitt, softer than the old rubber and nicer to use. Plus you can see if they are clean after a soaping and rinse. They seem to last too.